This course follows the guidelines for dentists and dental staff who require training in basic life support and AED awareness. 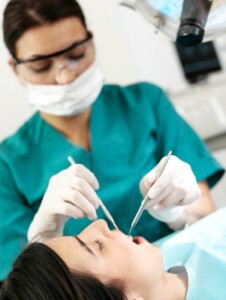 The course is suitable for dentists and all other staff who may work in the dentistry setting. The course is in conjunction with the UK Resuscitation Council guidelines specifically aimed at dental practices. Certification given counts towards CPD hours. The course covers CPR, AED awareness, recovery position and several other medical conditions that may be encountered in this setting. Qualification: Basic Life Support and AED Awareness Certificate. Cost: £30 per person + VAT (min charge of £240 + VAT) for in-house courses. Click here to download BLS for dentists syllabus.